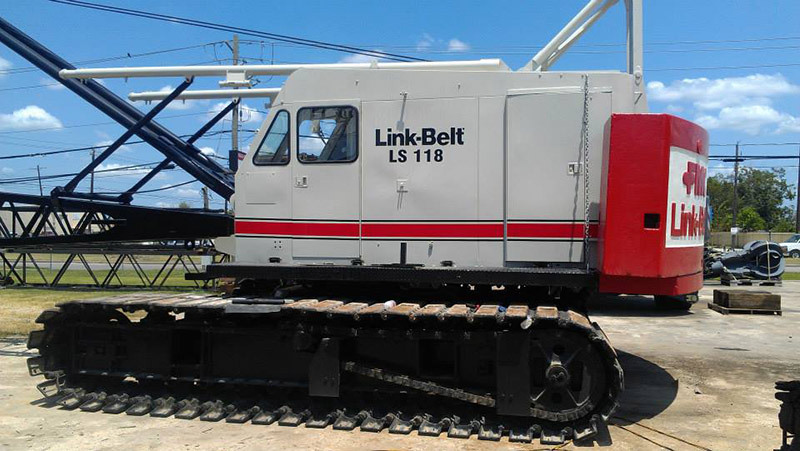 Mitchell Crane supports Link-Belt machinery in every aspect from manufacturing and supplying aftermarket new crane parts, OEM Link-Belt parts, used crane parts, complete crane rebuilds and over the phone technical support. With more than 40 years of experience and dedication to serving as the industries Link-Belt specialists, the Mitchell Crane team is equipped with a wealth of knowledge about Link-Belt machinery. Mitchell Crane manufactures aftermarket new Link-belt parts reverse engineered to meet or exceed the Original Equipment Manufacturers specifications. It was a Link-belt swing shaft which was the first reverse engineered part ever manufactured in the Mitchell Crane machine shop. Mitchell Crane’s experience and proficiency in producing aftermarket new parts for Link-belt machinery is second to none matched by equally by great prices. Committed to maintaining availability of aftermarket new Link-Belt parts we have dedicated resources allocated to maintaining a huge selection of the most commonly replaced gears, shafts, sprockets and other parts on the shelf for multiple models of Link-Belt conventional crawler cranes. To further our commitment to maintaining availability we continue to purchase used Link-Belt Cranes exclusively for the purpose of dismantling them to provide a low cost alternative to new crane parts. In conjunction with our repair capabilities we are able to get you back up and running for less. From mobile field repair to complete machine rebuilds, Mitchell Crane’s service department is seasoned with a long history of serving Link-Belt machinery in particular. It has been over 40 years since Mitchell Crane cut its teeth by working first on Link-belt cranes. Today, Mitchell’s service department leads the industry in Link-Belt knowledge and stands apart as the clear choice for true quality Link-belt repair.